From its picturesque canals to its undefeated cappuccinos, it’s no wonder that once I stepped foot into the city of Venice I fell in love. 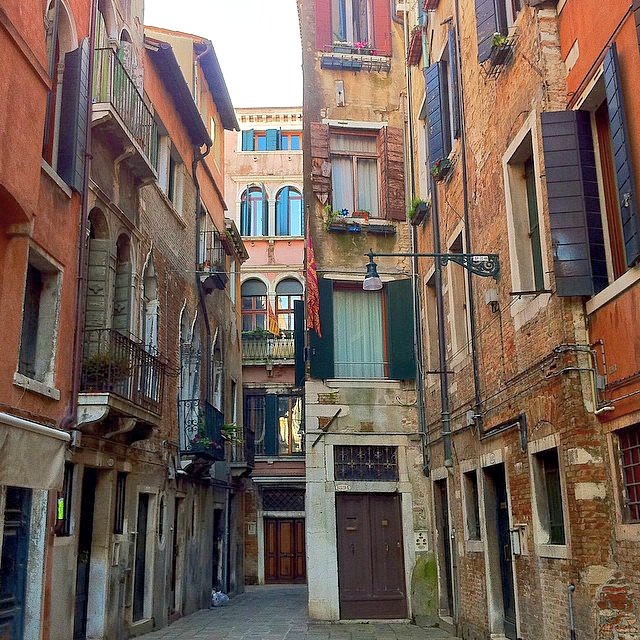 Back in 2011, I honeymooned in Italy with my husband Jorge, and Venice was our first stop. It was our first big trip abroad and neither of us knew what to expect. When we first got off the bus from the airport our mouths dropped. Can a place like this really be real?? Our hotel was right along the main canal, and we would have breakfast every morning watching the locals boat their way to work. Everywhere I turned was an Instagrammable photo, and I must say those are my favorite types of places. The places that are full of color and charm, old architecture, alleys with character, and food so good you rave about it for years to come. Venice was that place for me. After that trip, I was hooked. My bucket list grew like crazy. All of a sudden, places I had never even heard of were on my list. I kept saying, “what have I been missing?! there’s still so much to see!” So we vowed to go somewhere new every year around our anniversary, though as the years pass by we’ve been sneaking more and more adventures in because why not? I know that many feel like they can’t do the same; life is too busy, money is too limited, and obstacles are too big to travel anywhere their heart’s desire. And, those same people question how we do it, so I’ve started this blog to share just that—how we travel the world part-time while keeping our full-time jobs, and still managing to foster dogs! I can’t wait to share my adventures, tips, and the little tricks I’ve learned along the way. I’d also love to grow my travel community, so let’s connect!